In less than a couple of weeks, the adaptation of Elena Ferrante’s hit novel My Brilliant Friend will finally be released. The TV series’ 32 episodes will span the four books that comprise Ferrante’s Neapolitan series, with HBO so far on board for the first eight episodes. FremantleMedia is be the series’ international distributor. It’s truly great to see how much detail and thought is being put into this project. But then again, it’s no surprise considering who’s behind production. Elena Ferrante herself has been adapted the series for TV, alongside Francesco Piccolo, Laura Paolucci and director Saverio Costanzo. 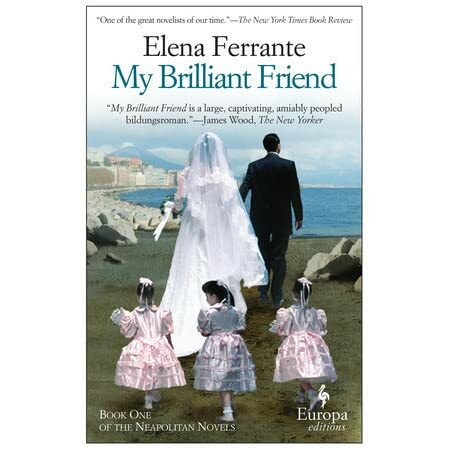 Even before airing, My Brilliant Friend‘s TV series has already received phenomenal reviews! We cannot wait for this series to finally be broadcasted in the UK on Sky Atlantic and in the US on HBO November 18th and 19th!